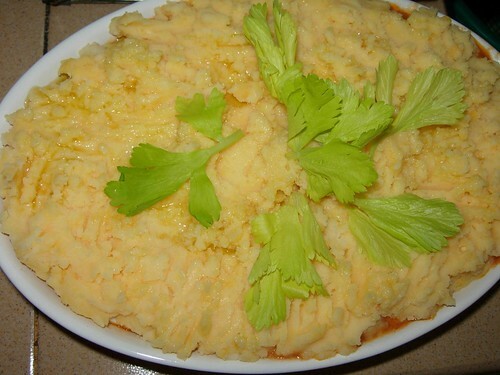 I want to make a Shepherd Pie and found Gordon Ramsay’s recipe for a Shepherd Pie. He used minced lamb. Meanwhile, what I have was a pot of lamb shanks, stewed till tender and the meat separated from the bones. Put the lamb shank into a baking dish. I only have very little lamb shank meat so I boiled three eggs and put them on top of the stew. Then, I cover the top with the mash potatoes. 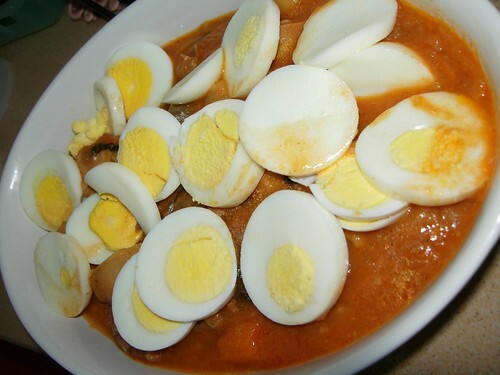 It is very easy to make because you just need to spread a layer of mashed potatoes on top of the stew/egg. Use a fork and make some criss-cross design. I pour a little olive oil on the top as the potatoes look rather dry. Bake it for 20 minutes at 200 degree and I got a simply delicious shepherd pie enough for four persons. For the lamb shank recipe, you can get it from my earlier post. This time, I added some fennel and coriander powder into the stew to give it a spicy tang. 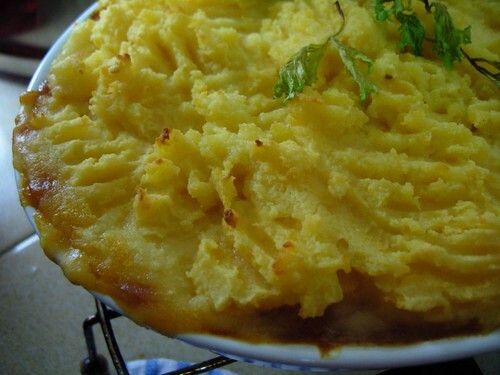 Shepherd pie is really easy to make. You can use minced beef or lamb and stir fry it with lots of onions, garlic, chopped tomatoes (I use Italian canned plum tomatoes) and the finished result is something like a bolognaise sauce. Slather mashed potatoes and bake and you get a really beautiful dish. 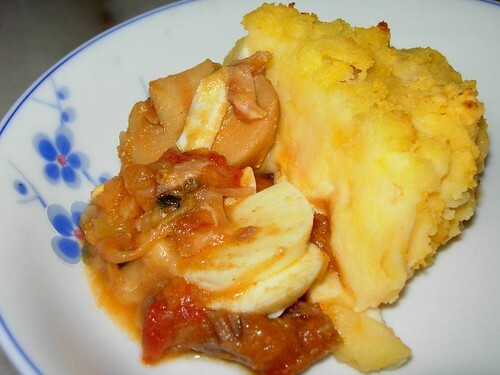 I like making this stew/covered with short crust or mash potato dish because my kids love the ‘western’ touch. Moreover, I can keep the left over stew and serve it in other ways, like over pasta or with bread. 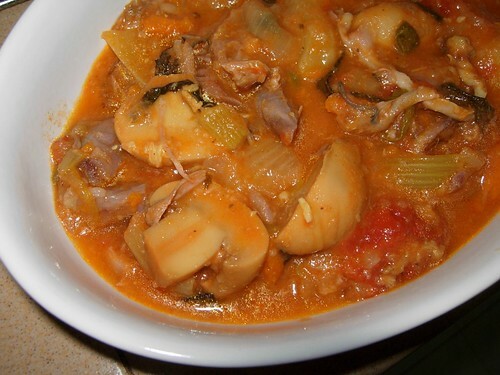 Yummy…..lamb stew looks really tasty. Does the Betty Croker’s mashed potatoes really taste like the real thing? 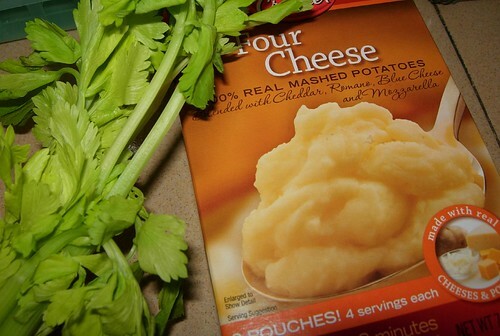 Have you ever made mashed potatoes from fresh ingredients? Care to share the recipe? My kids love mashed potatoes but unfortunately, only those from KFC :(. Anyway, i’m looking for some simple quick and easy recipes. As i’m currently a student, I’m looking for some simple recipes that does not require much preparation time and also just using some simple and low-cost ingedients that could easily found in Malaysia. It could be a dish or just simpy some snack. Do you have any suggestion for this? I’m looking forward for your reply..